Mary is a little vertically challenged, which can make most motorcycles a bit tricky to ride. 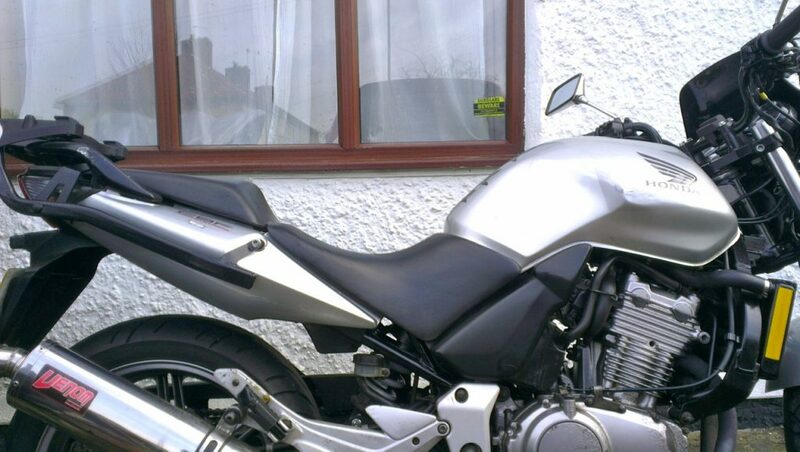 At 5’1″ she is only just on tip toes when sat on her stock CBF500, so lowering was essential. Lowering a bike can be achieved by reducing the seat and/or lowering the suspension. Mary’s CBF500 needed both! 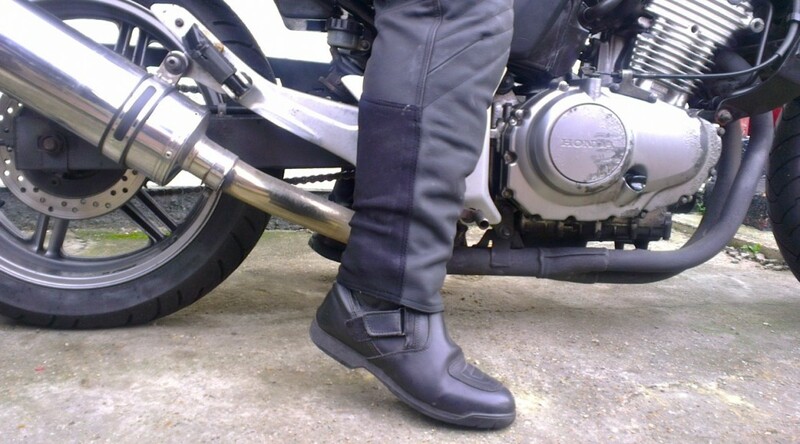 Lowering the rear suspension of a bike can be achieved either swapping on longer ‘dog legs’ – the struts that go from bottom of shock to swing arm; or by shortening the overall length of the shock. 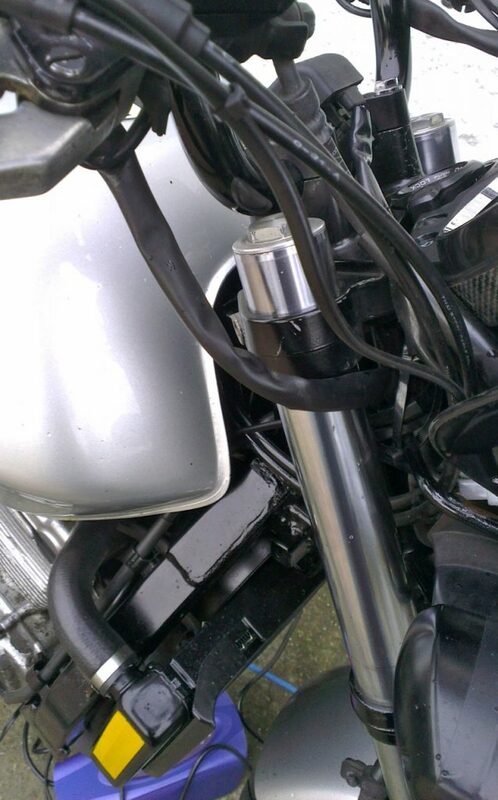 The CBF500 rear shock mounts directly to the swingarm, thus the latter approach was needed. MFW sell a number of lowering kits including a replacement lower shock linkage for many Honda’s. This replaces the stock linkage of a standard Honda Showa shock, shortening its entire length. 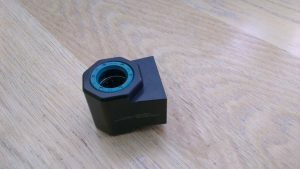 The linkage came in for £65, however similarly parts by other brands sell for £100-120. 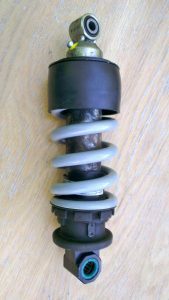 Alternative approaches involve replacing the spring on the shock for a shorter one. Due to the age and weathering of the shock, whilst it was off I opted to get it refurbished, by All Bike Engineering down near Blackwall tunnel. They also found the rod had been damaged, due to the seized linkage, but replaced it, regassed, resealed and fitted the lowering link for the sum of £160. The new linkage came with new bearings and dust seals, so just a new nut, bolt, collar and big dollop of waterproof marine grease was required to finish the job. It is important to lower the front suspension to match the rear to avoid any unwanted handling issues. This is achieved by loosening the front fork clamps on the yoke and sliding the forks up, before tightening them up again to the correct torque setting. Between lowering the front and rear suspension I managed to drop the bike about 3cm. To lower the seat you simply remove some foam padding from within the seat to reduce it’s height, whilst not compromising comfort too much. It’s also a good option where a bike is shared between different people, as seats are often quick and easy to interchange. This can be a fairly straight forward DIY job, by just unpicking the leather cover, cutting the form down as desired, then re-stapling the cover back down. However, many manufacturers sell lowered seats which have been designed and built to be lower. As luck would have it I found such a seat on ebay, a new old stock genuine Honda lowered seat for the princely sum of £35 – bargain! This dropped the seat height down another 2-3cm. With the suspension dropped by 3cm the final issue is the side stand, which will now be too long and cause the bike to remain precariously upright when parked. To address this the stand needs to be cut shorter and the foot welded back on. I took the bike to a local workshop for this job, having neither the tools or experience to weld. 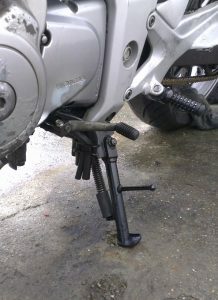 If your bike has a centre stand, once lowered it can be harder to mount it on a centre stand. 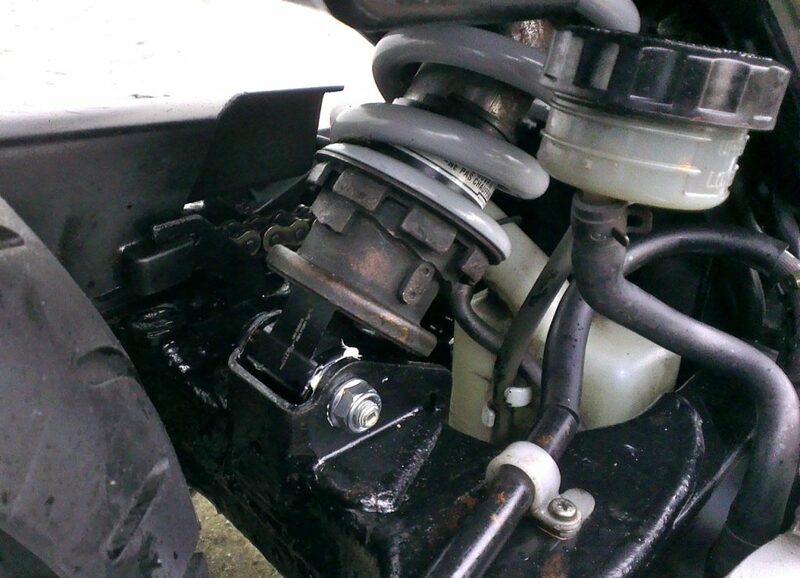 Also, a centre stand may cause ground clearance issues too. This CBF500 wasn’t supplied with one however. With all the above mods completed, Mary is almost able to put her feet flat. Not completely, but she is certainly a lot more stable and confident on the bike now. From a handling perspective, the bike still rides well and with no discernible difference at the level Mary will be riding at. Ground clearance is compromise a little, but I doubt Mary will be leaning far enough for this to be an issue. Thank you for all this info. I’m 5’2″ and have the same bike. I see a winter project coming up. Cool, would love to hear back how you get on with this project.